We've been sticking to what we know mostly this month, however, a couple of things have appeared in our kitchen this month. First up - pistachio Merangz. Oh my goodness. 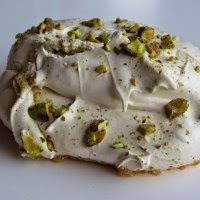 You REALLY have to try these wonderful meringue treats. They are crunchy on the outside and light and slightly gooey on the inside. The ones we had didn't have quite so much in the way of pistachios as this which is a bit of a shame but I will definitely get them again. We had one each with some raspberries and extra thick cream. We had one each which was probably a bit much - we could probably have shared one and saved the next for the following night. 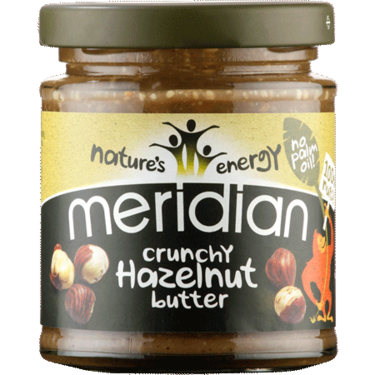 Hazelnut butter tastes just like praline on toast. Unless I'm making a certain noodle salad, I'm no longer going to buy peanut butter. Between hazelnut and cashew I think I'm sorted. Made with 100% nuts and nothing else, it's fantastic stuff. Finally, an old favourite has returned to our house and has been at the best option for a certain grumpy girl. Nelson's Teetha was the best option for D when he was small - the powder rubbed across the gums with a slightly grainy texture seemed to work the best for D - and so we are making use of them again now that Roo appears to be trying to grow a few teeth. 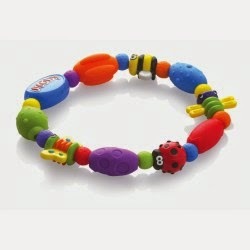 Last time I found them better than the gels for helping out with the teething. I hope they do so again this time. They are made with Chamomila so less medical than the other options perhaps. 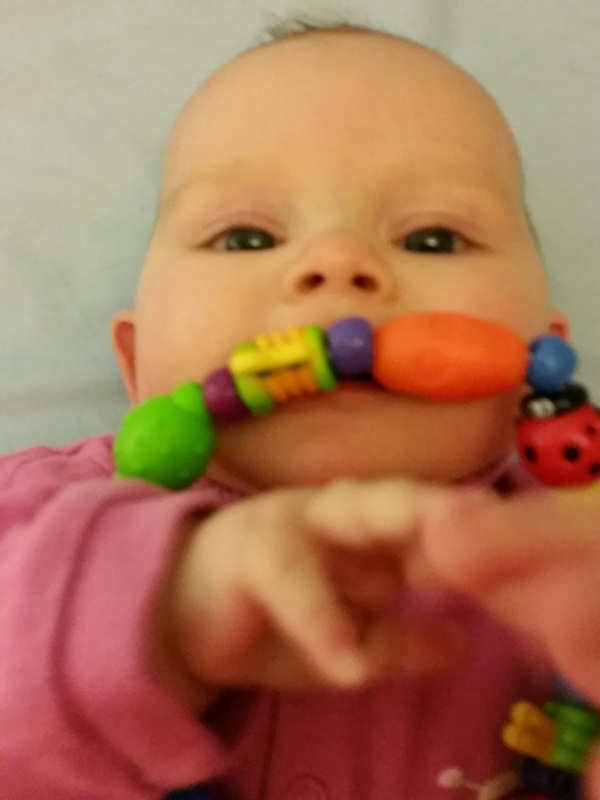 Finally, in a similar realm, we've been making use of Nuby's bug-a-loop teether this week. Although you can't see it here, Roo is now able to grab and bring it to her mouth. It's got a whole range of different textures - she particularly likes the wings at the moment. A great present from Father Christmas! As ever, I love to hear about your new discoveries - do let me know what you've found!